We seek students dedicated to solving emerging problems facing the world today. Some of these problems have scientific solutions, but the majority of concerns facing us in the twenty-first century—species extinctions, climate change, tensions between industrial development and sustaining natural and cultural resources, to name just a few—will require embracing multiple ways of knowing, from indigenous technologies to cultural studies to physical science. 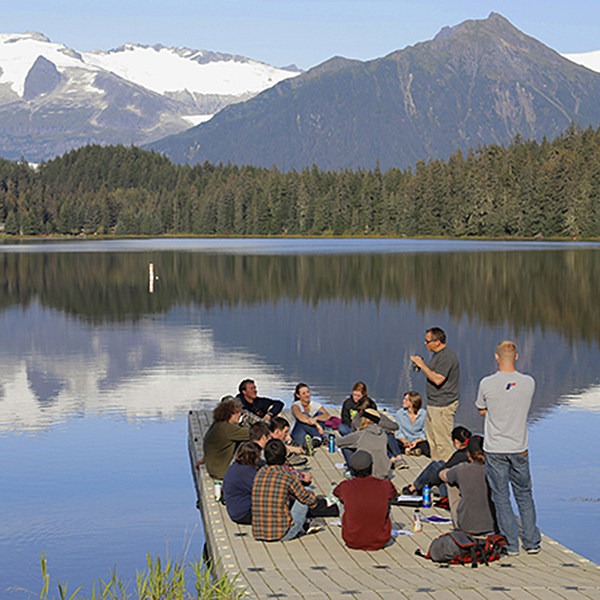 With our small student-to-faculty ratio, our courses are distinguished by their capacity to link local and global issues through on-hand learning environments such as the Tongass National Forest, Tlingit storytelling, downtown cultural districts of the State Capital, and their expansive connections to larger world histories and ecologies ranging across the North Pacific Rim. Our undergrads are prepared to enter graduate school in a diverse range of disciplines, as well as immediately enter the workforce in a number of local and national governmental agencies in job positions such as urban and regional planner, environmental impact analyst, forestry technician, and horticulturalist. 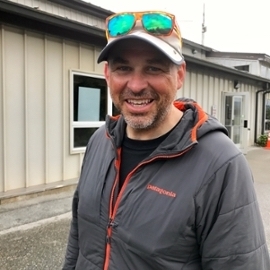 UAS Associate Professor of Geophysics Jason Amundson and students spent a few days traversing the Taku Glacier while maintaining weather instruments along the way. The glacier, just south of Juneau, as been a focus of study as it advances and excavates the land in its path. Follow along as the team collects data to help understand the phenomenal motion of the ice flowing into the fjord. UAS Assistant Professor of Geology Sonia Nagorski researches the pollutant mercury, which is present in Southeast Alaska ecosystems. Undergraduate students assisted Professor Nagorski with the study, hiking along rivers and streams near the UAS campus. You’re ready for something new. New challenges, new places, new adventures. 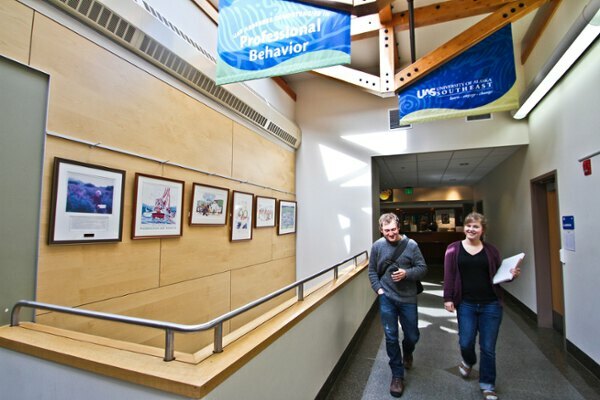 In the classroom or in the natural world, adventure abounds at the University of Alaska Southeast. 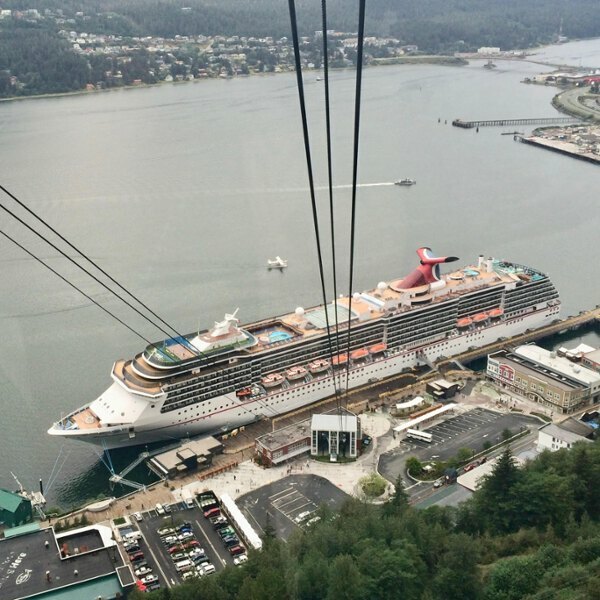 See Alaska in a whole new way. Explore the possibilities in our learning community, on campus and on-line. The study of Cultural Geography addresses the spatial organization of societies at all scales from the local to the global and the production of place, territory, and landscape by human imagination and activity. As far as my personal experience in the Geography BA, I feel that those three years were invaluable. The blend of classes required made the experience feel well rounded and thought through. I took many advanced literature, sociology, and geography classes which I felt comfortable and familiar with. I also took harder classes that focused on the physical and hard science aspect of the degree. Both challenged me in different ways and gave me an opportunity to figure out where I fell on the spectrum of the degree program. Environmental Studies explores the interrelationships between the earth’s physical and biological systems and how these systems provide natural resources for human societies. One of the things that I loved about the BA Geography program was its flexibility. The program gives you a good base but it also allows you to incorporate geography into other fields. For example, I was able to have geography as a core and then relate and apply it to sociology, natural resource management, forest ecology, and GIS. The ability to work with other fields is one of the discipline’s many strengths. I believe that the field of geography has a lot to offer and other fields are starting to realize that as well. 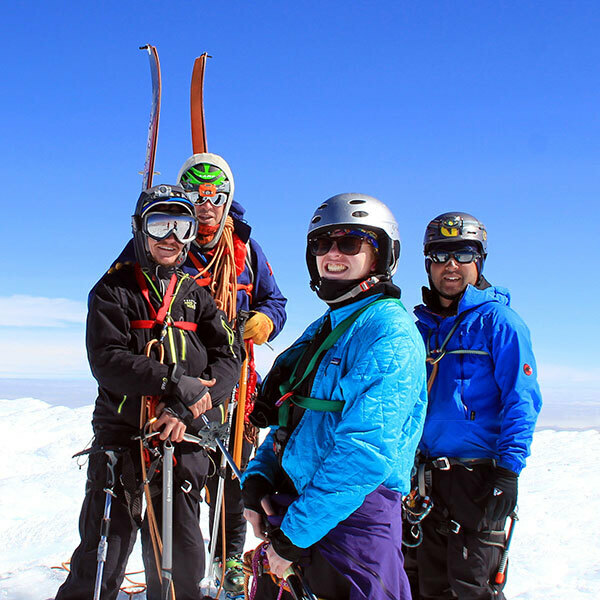 Outdoor Studies combines the breadth of a liberal arts academic approach with a focus on outdoor sport and recreation and field experience in outdoor and adventure settings. 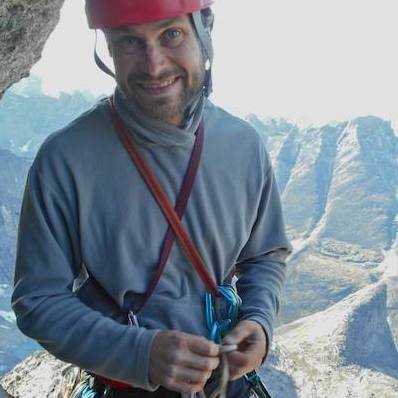 I was able to take the knowledge I had learned about the environment and geography from my other courses into the field with me and experience a hands-on learning style. The small group setting of each class at UAS helped me feel comfortable with public speaking and strengthened the connection I had with my professors. I came into the program with no self-confidence or understanding of what I wanted to do with my life and by the end of my time in the program I had transformed into a passionate, engaged individual. At UAS, students in the Cultural Geography emphasis gain hands-on experience with projects like Globalizing Southeast Alaska, a collaborative community research project to visualize the social, environmental, and historical impact of tourism on the Juneau landscape. 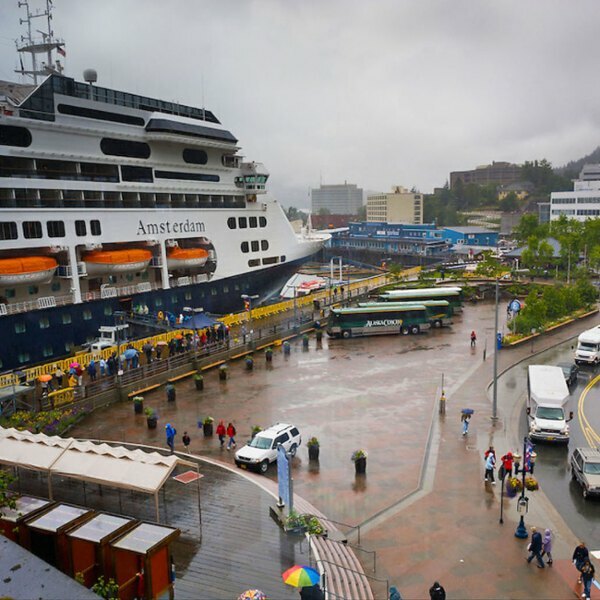 Under the direction of Dr. Richard Simpson, Geography 490 students constructed an interactive map of the activity of cruise ships in Southeast Alaska from 1977-2017. Projects like this bring students together with professional organizations like the Juneau-Douglas City Museum, whose Juneau History Grant partially funded this research. 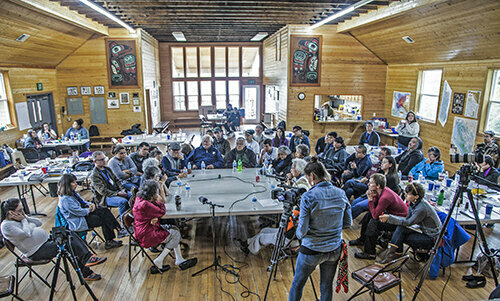 Tlingit language speakers, teachers, and learners gather at the ANB Hall in Yakutat, Alaska to listen to the perspective of Tlingit elders speaking in the language about its future and current needs. The maps on the wall show geographic views of the area, the Raven and Eagle panels show the need for balance within Tlingit culture, and the arrangement of people show the ways that a language community centers around Indigenous knowledge sources. 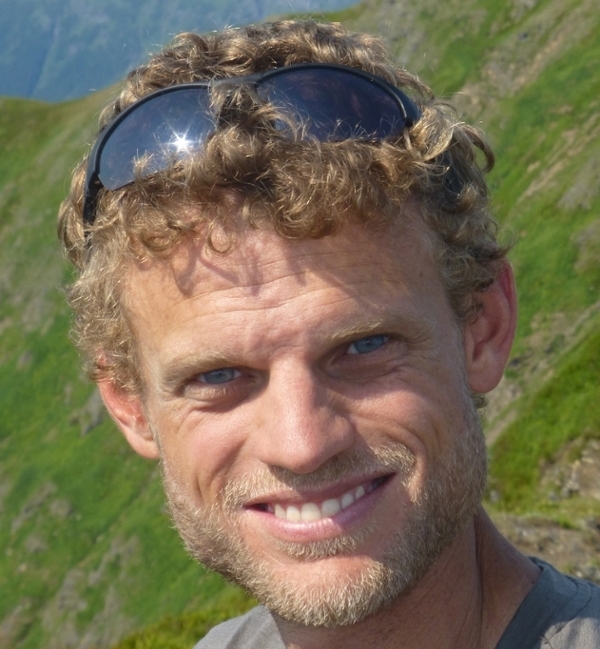 "The knowledge and skills I learned through the geography program at UAS has helped me immensely with my life endeavors. Being a geography major influenced my passion for sustainable food growing. It also gave me a global perspective on what is important and what needs work. It gave me insight on how this world is changing and how we need to address basic needs such as food and water in years to come. Geography and Environmental Studies gave me a unique look into how the world works. It made me care. It made me want to do something good to help this place."